We use Real-Time technology to help you gather all the information and have it processed. This gives you better information to manage your profits and cashflow and gives us information to advise you with. We can then optimise your tax payments and help you on the journey towards your goals and plans. 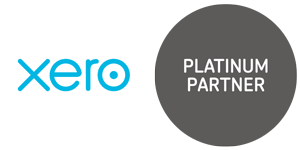 Using smart technology such as Xero and Receiptbank, you will be able to work more efficiently and analyse what’s happening in your business, right now, in real-time. And if you are concerned about Making Tax Digital, don’t be. Unlike many accountants we are MTD ready and you will be too, right from the word go. ✓ Are there customers who haven’t paid you, or worse still, you haven’t invoiced? ✓ Can you afford to recruit next quarter? ✓ Is your tax bill a big surprise and often last minute? ✓ Are your accounts meaningless to you? Is your business plan robust? Will you be a Ltd company or a Sole Trader? Here you will need annual profit and loss accounts, partnership tax returns, self-assessment returns, help dealing with HMRC, tax advice and more. Do you need self-assessment tax returns, profit and loss accounts, advice on how to reduce your tax bill, help with dealing with HMRC and tax advice? Real-Time Accounting gives you the numbers but Love My Business is a more hands on approach. It’ll help you understand your figures and work on growth and profit. We’ve helped hundreds of businesses (big and small) move to cloud accounting software – so you’re in safe hands with us.